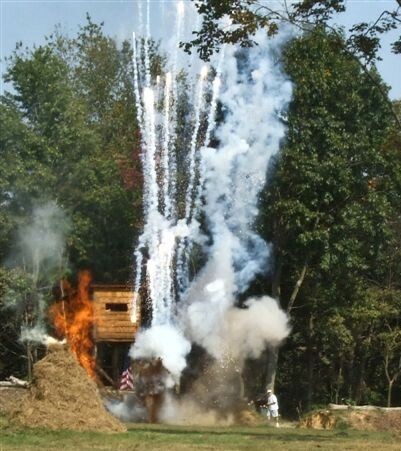 Although we are a firework display company, we also perform Special Effects for Civil War Reenactments. 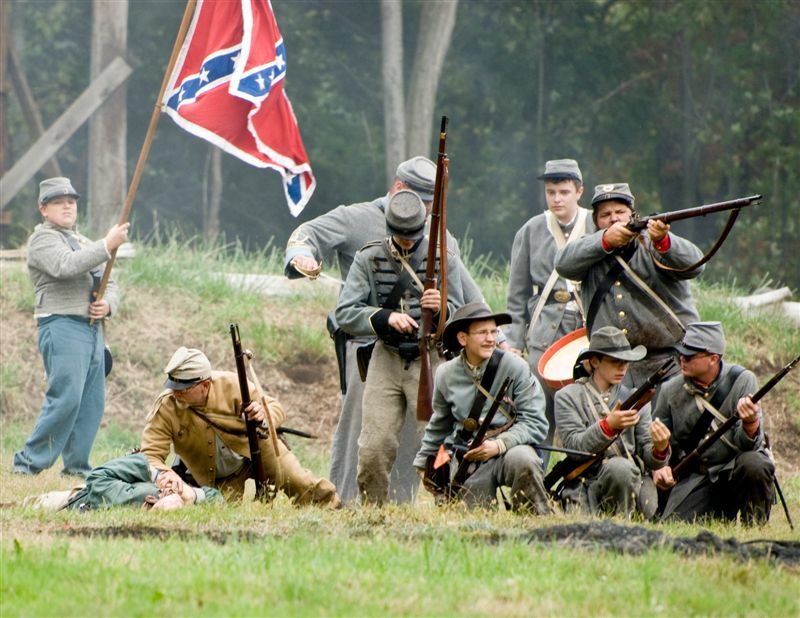 Our most prominent and well known reenactment takes place in Perryopolis, Pennsylvania on the first weekend of every October. 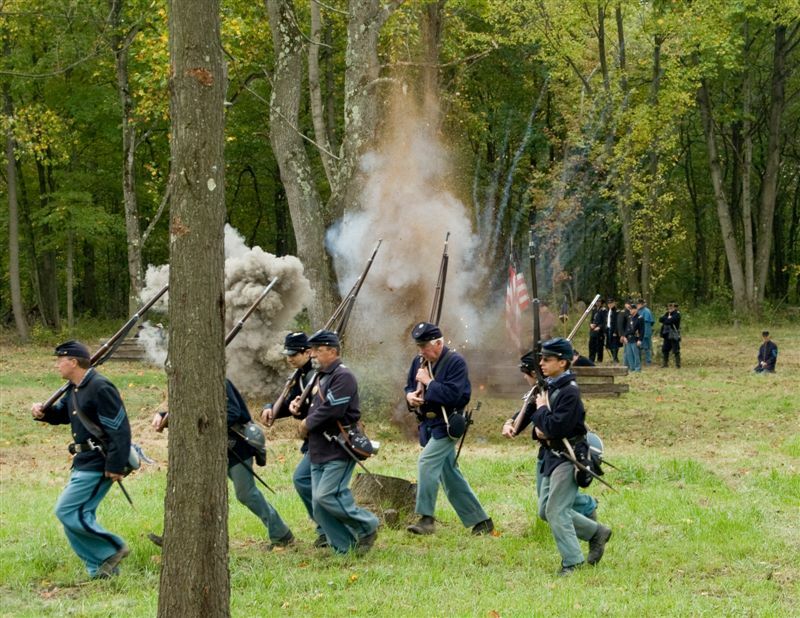 This year it will take place on October 2nd & 3rd 2010 at Sampy Park in Perryopolis, Pennsylvania. 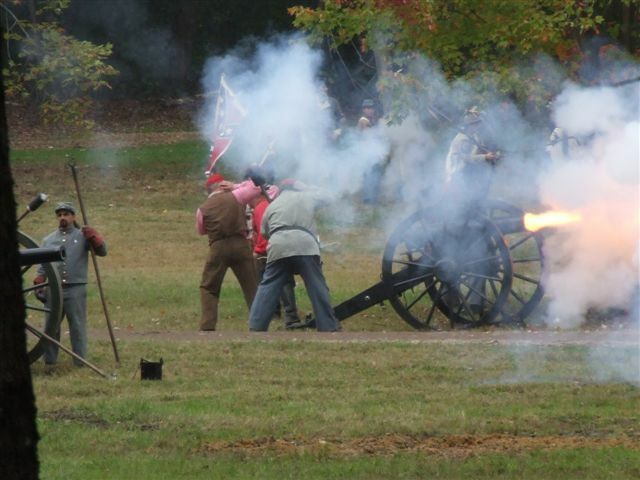 The battles begin both Saturday and Sunday at about 12 o'clock noon. Below are some photos from previous years. If you are interested in an event such as this please contact us. 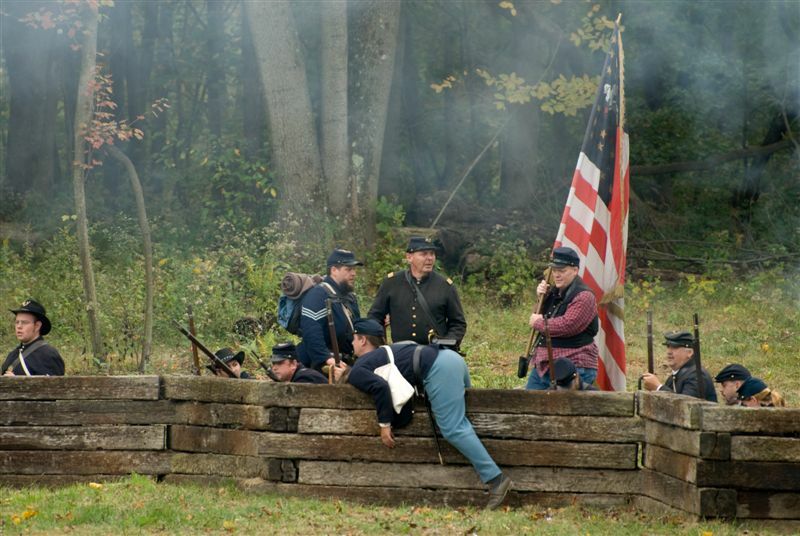 Scroll to the bottom to see the photos from 2009 Perryopolis Pioneer Days! These Spectacular Photos were taken by Kevin Toman. 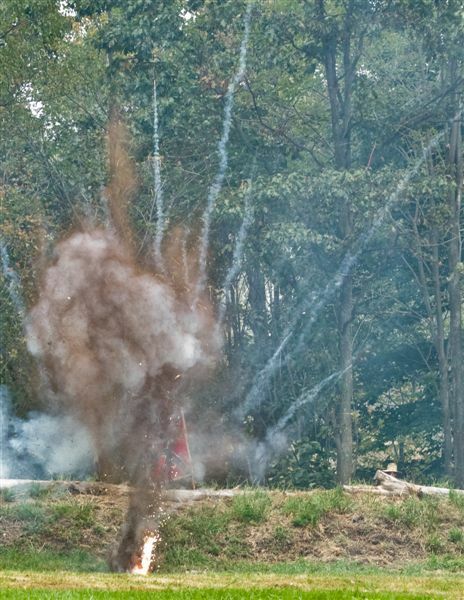 These effects make the explosion look like it has dirt, debris, and hot shrapnel flying through the air. 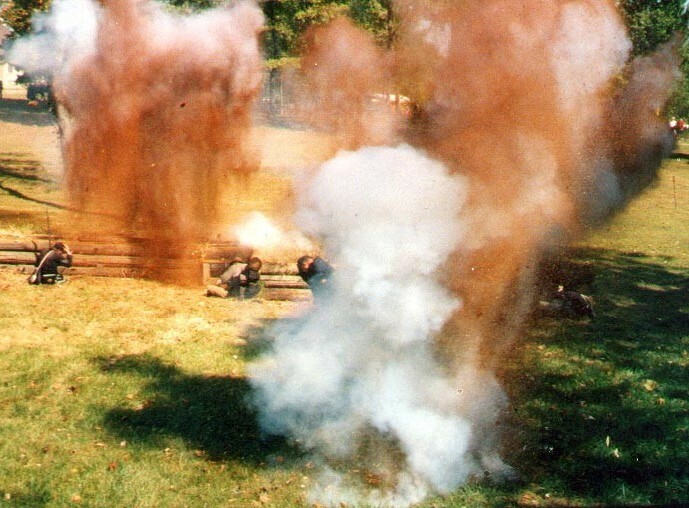 The cannons along with the pyrotechnics create such a realistic effect that some spectators actually wondered how they were so precise on their cannon firing! Bryce Rinkhoff, Owner of Old Glory Powder Company is checking the connections at the Perryopolis Pioneer Days 2007. 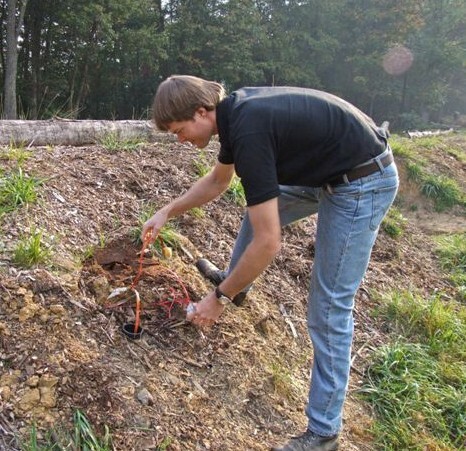 All of our pyrotechnicians are trained under Bryce to ensure that they get the proper training required. All of the new pyrotechnicians' work is checked by Bryce himself until they have reached the end of their training. 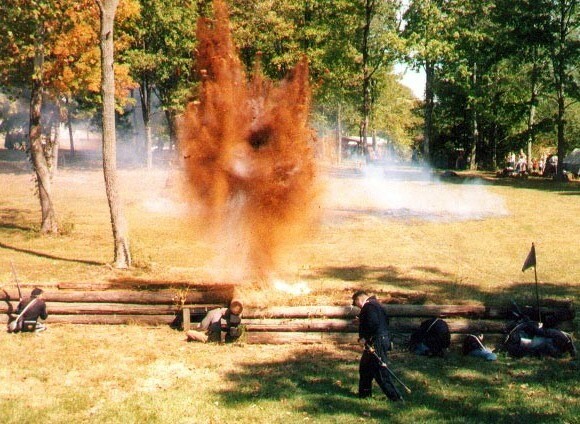 These Special Effects are something that other than at Perryopolis, Pennsylvania, you would only see in Hollywood. Even then, they only make the effect that you can see and add the sound in later. 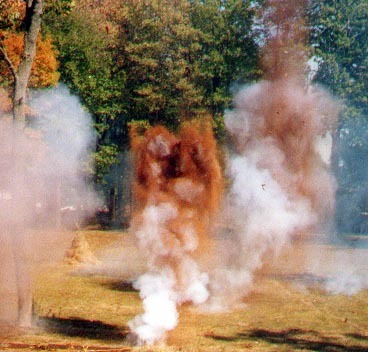 Bryce came up with a system of making the earth heaving effect plus the noise effect all in one pyrotechnic device. 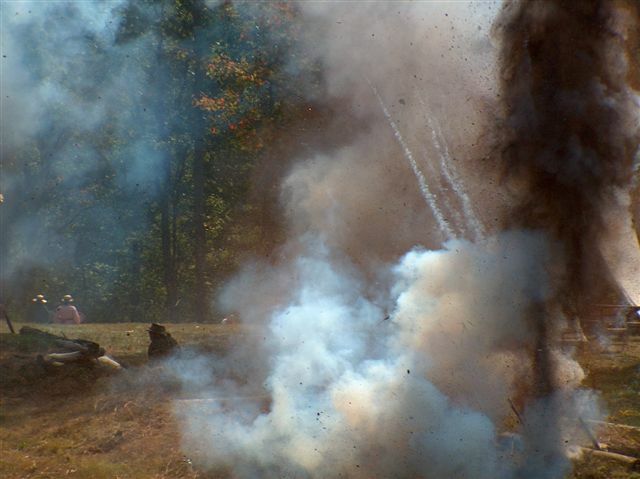 The picture on the left is another star mine, ground heaving, and noise effect. 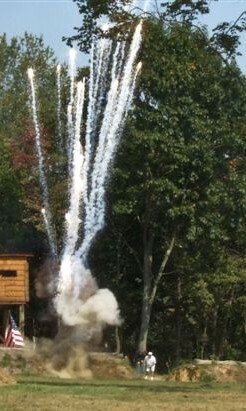 This three-in-one pyrotechnic device was also designed by Bryce. 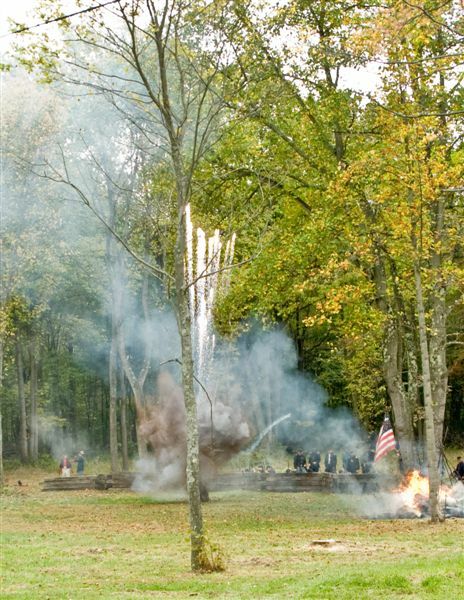 Another device Bryce designed and used in this event makes a whistle after the cannon fires to sound like an incoming round, and then explodes with the earth heaving effect. Due to the death of their mother, Carol Rinkhoff on September 29th, 2010, we did not perform the special effects in 2010. We hope to see everyone again in 2011.